RENO, Nevada -- Arizona Diamondbacks bench coach Ron Gardenhire announced last Tuesday that he has been diagnosed with prostate cancer. "I'm going to fight it and deal with it," said Gardenhire, who was set to begin his first season in Arizona after the team hired him in November. "It's a bump in the road, and it's not how I envisioned starting Spring Training with a brand-new team. It's part of life." Newly named Aces manager Jerry Narron will step in for the duration of Gardenhire's recovery. Narron, 60, has five years of Major League managerial experience on his résumé, including stints with the Rangers (2001-02) and the Reds (2005-07). He posted an overall record of 291-341 (.460) during his time at the helm. 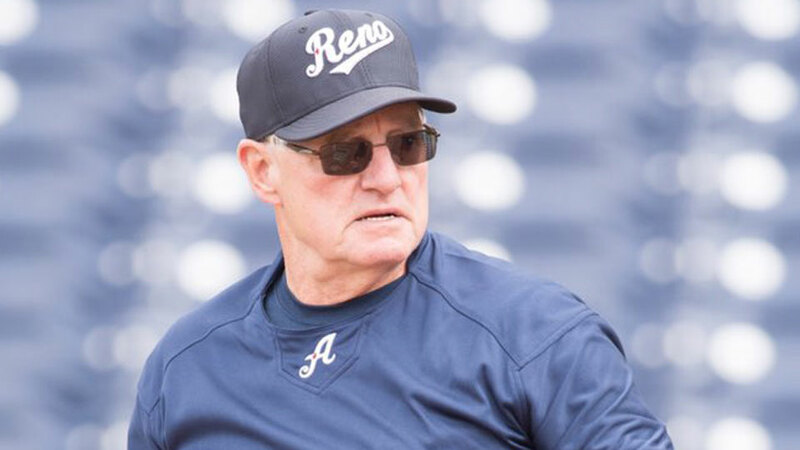 "We would like to send our thoughts and prayers to the family and friends of Ron Gardenhire," said Eric Edelstein, president of the Reno Aces and Reno 1868 FC. "We hope for a speedy recovery and look forward to seeing Ron back on the field soon." Hitting coach Greg Gross will serve as the interim manager for the Aces. Gross returns for his fifth season in Reno after spending 2010-12 as the hitting coach of the Phillies. Under Gross, the Aces have consistently been among the Pacific Coast League's best in numerous offensive categories. Last season, the Aces finished second in the PCL in triples (53) and third in average (.280), runs (726), hits (1,393), doubles (287), RBIs (686), total bases (2,206), slugging percentage (.444) and OPS (.782). Gross served as bench coach for the Phillies in 2001 and was their hitting coach from 2002-04. He was selected by the Houston Astros in the fourth round of the 1970 Draft. Gross spent 17 seasons in Major League Baseball, playing with the Astros, Cubs and Phillies. He hit .314 in his rookie campaign with the Astros, garnering The Sporting News Rookie of the Year honors while finishing second in the National League Rookie of the Year race. He was a member of the 1980 World Series-champion Phillies. "Greg has been a fixture in the Aces dugout, and we are excited to have him step up in the Diamondbacks' time of need," said Edelstein. "Thanks to the last few years under Phil Nevin, Greg has had a number of opportunities to get his feet wet managing the club."